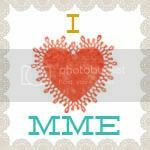 I love to make cards!!!! And I needed to make a birthday card for my mother-in-law, so when I saw this sketch at Sketch~N~Scrap, I knew it was perfect! 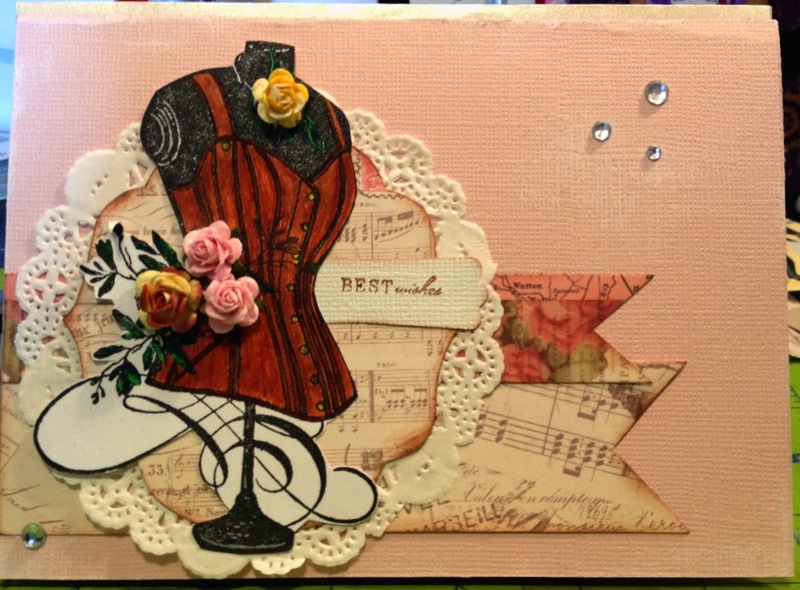 This stamped image was one that a friend of mine sent me - she stamped a few on white cardstock and I had it for the longest time before I did anything with it because it's soooo pretty- I LOVE corsets- that I was afraid to touch it. We scrapbookers are like that, aren't we? We get pretty stuff and then we hold onto it because it's too pretty to use lol So, I didn't do anything fancy, just colored it and added the tiny roses. I absolutely adore these roses- perfect for card making- but they were given to me and I have not been able to find them anywhere. If anyone knows where I can order them, please let me know! The doily and stamp are from Stampin'Up and the papers are Pink Paislee's London Market. The cardstock is Coredinations so I lightly sanded it in places and added some bling. So there! I hope she likes it. This is beautiful Darlene. Love your take on the sketch. The tiny flowers are so perfect on this lovely card! Great layering. Beautiful creation and awesome take on the sketch. WTG!!! Thanks for playing along with us on Sketch N Scrap! This is just beautiful! I love the flowers, doily and the corset, such a great combo! You might try etsy for those flowers, I know I have seen them in the past on there! Good luck and thanks for joining us at Sketch N Scrap! Love this vintage design, Darlene! Beautiful! So pretty! Love the papers and vintage feel! Thanks for joining us at Sketch N Scrap! So pretty! Love the papers you used. Thanks for joining us at Sketch ~N~ Scrap. Such a beautiful project! Love all those layers. Thanks for playing along with us at Sketch N Scrap! Very creative, I love it ! This is beautiful. Thanks for playing along with us at sketch-N-Scrap !